CYBERJAYA, 9 July 2018 – Universiti Teknologi Malaysia (UTM) achieved a tremendous victory by winning 12 prizes out of 16 categories in the Innovate Malaysia Design Competition 2018. Director of UTM Centre for Student Innovation & Technology Entrepreneurship (UTM XCITE), Assoc. Prof. Dr Zaidi Rozan said four UTM teams emerged champion, two teams won the 1st place, four teams won the 2nd runner-up and another two teams grabbed the consolation prizes. “This year, the Best of the Best team is also won by UTM, and the team has been awarded the Innovate Malaysia Excellence Award 2018. The team, spearheaded by Lim Ji Chen, Chin Linn Kern and Matthias Tiong Foh Thye focusing on problems in construction sites mainly on Workplace Safety and Security using Deep Learning Application has won the Excellence Award (Best of the Best) and First Prize Award under Google Track,” he said. Innovate Malaysia Design Competition 2018 is a multi-disciplinary engineering design competition for undergraduates in Malaysia. It was co-organized by 8 technology leaders in the industry, supported by the Ministry of Education (MOE), MaGIC and the Institution of Engineers, Malaysia. “This has been the largest design competition in Malaysia over the years. It is a platform to groom and develop engineering talent besides providing industry exposures to the university students. Briefly, this programme prepares the brightest talents into the pursuit of fulfilling careers, furthering studies or even technology start-ups,” he said. 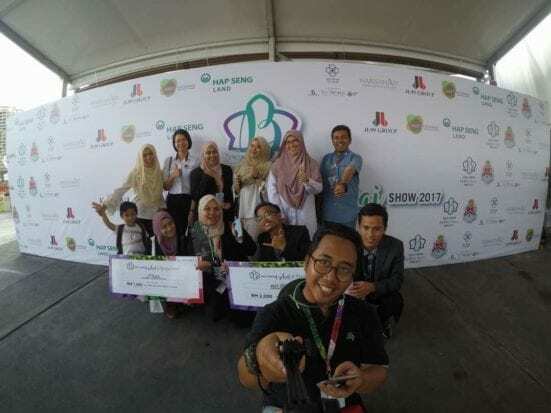 The Innovate Malaysia Design Competition 2018 had received registration of 516 teams consisting of more than 900 students. Only 59 teams were selected as the finalist including 12 UTM teams. The Technology Track Award is supported by Google, Intel, KEYSIGHT Technologies, MathWorks, Microsoft, SAS, SILTERRA, SOLIDWORKS and Celcom, Cyberview, Daikin, Exabytes, Telekom Malaysia and in addition, WCS contributed to the Design Challenge Award. JOHOR BAHRU, 15 July 2018 – The working paper titled “Integration and fabrication of the cheap ceramic membrane through 3D printing technology” written by researchers from Universiti Teknologi Malaysia (UTM) Centre for Low Carbon Transport or LoCARtic, School of Mechanical Engineering have recently been awarded the first prize in the 3D Printing Grand Challenge organized by Elsevier Publisher. The award comes with USD15, 000.00 prize money and certificates. The paper was also published in the Materials Today Communications under the Elsevier journal Materials Today. The UTM researchers who worked on the paper are Mr. Lim Chin Hwa – a UTM Master’s graduate, Dr. Uday M. Basheer Al-Naib, Dato’ Prof. Ir. Dr. Alias Mohd. Noor and Assoc. Prof. Dr. Srithar Rajoo – from UTM LoCARtic, Assoc. Prof. Dr. Norhayati Ahmad and Dr. Khidzir Zakaria – from the School of Mechanical Engineering. This competition was open to individuals or organizations from academia and industry from all countries. Projects were submitted from any field where additive manufacturing / 3D printing techniques are applicable, and the papers were reviewed by a Panel of Judges. Team leader, Assoc. Prof. Dr. Srithar Rajoo said that the research conducted by the UTM team was successful in developing a ceramic membrane for water filtration with 3D printing technology. “The research was compatible with 3D printing process and this will accelerate the development of 3D printing methods from prototyping to use very cheap materials in manufacturing as well as to enhance the opportunity for timely entry into the commercial marketplace. “UTM research team has further concluded that the 3D printing technology provides an alternative way to produce an efficient ceramic membrane for water filtration. They are capable to manufacture the membrane without the need of tooling and machining,” said Dr. Srithar. The 3D printed ceramic membranes are functional, economical and sustainable, providing a commercial value due to its low cost and ability to comply with the strict regulations for water pollution control. UTM has a strong background in the 3D printing research. As such, in 2017 the School of Mechanical Engineering was assigned to support the UTM 4.0 in teaching by utilizing the 3D printing technology in various areas of teaching and research activities. This award is one of the achievements for UTM researchers moving in the right direction to become leaders in their areas. Please find the attached event brochure and information about this event at the following link. Hope to see you there! Tarikh Tutup Penyertaan sebelum atau pada 11 Mac 2018 (Ahad) atau tertakluk kepada kekosongan tempat. Penyertaan dari pihak UTM dihadkan kepada 100 orang sahaja. Sebagai makluman, objektif utama bagi program ini adalah untuk meningkatkan kerjasama Institut Pengajian Tinggi dan Industri bagi mewujudkan pembangunan negara dari segi ekonomi, sosial dan infrastruktur. Pada masa yang sama ianya dapat membantu melahirkan kepimpinan masa hadapan yang memenuhi keperluan global dan beridentiti tempatan. 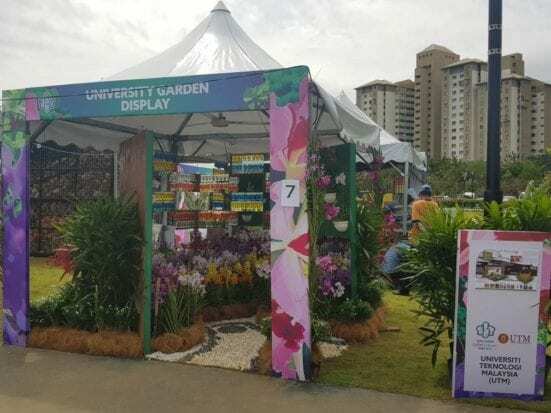 Universiti Teknologi Malaysia (UTM) won the first and second prize in the Kuala Lumpur Orchids and Bonsai show 2017 hosted by Kuala Lumpur City Hall or DBKL at Taman Pudu Ulu, Cheras. There were three competition teams with a group of five (5) students who are the fourth year, third year and second-year students from Landscape Architecture Department, Faculty of Built Environment who were coordinated by Dr Lee Yoke Lai together with two supporting staff (En. Hassan bin Sahat and En. Mohd Azahari bin Md Amin). All participants had to construct the designed gardens from 28 to 30 December 2017. Two teams with the design concept: ‘The Reflexia and Meraki’ won the first prize and second prize competing with five (5) other groups. 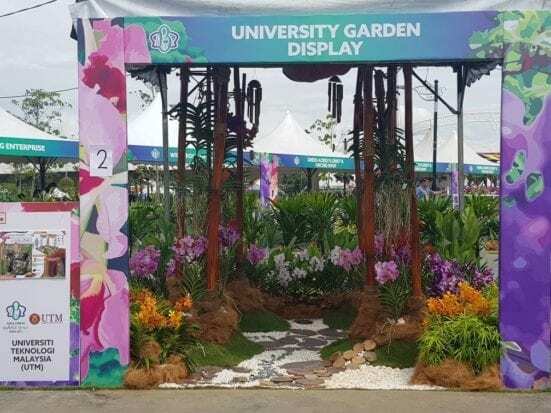 Both UTM teams selected colourful orchids integrated with the competition theme ‘warna-warni Malaysia’ to create an interesting and unique garden layout that symbolised multi-ethnic, culturally diverse and peaceful Malaysia. 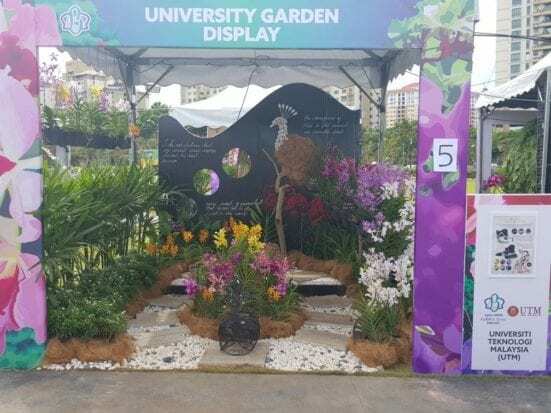 Another UTM team was awarded a consolation prize for their interpretation of “Laman Ikatan Citra” to emphasise the beauty of orchid garden design. The prize-giving ceremony was held on 3rd December 2017. All the entries were given RM3, 500 incentives by DBKL in the orchid competition. Furthermore, alumni sponsorship of the Institute of Landscape Architecture Southern Chapter (ILAM SC) had contributed to students’ financial support in this competition. All in all, the hard work, design innovation and good teamwork contributed to the performance and success in this university orchid competition. Again, congratulations on the great achievement by Department of Landscape Architecture for making UTM proud.